Consumers have witnessed unprecedented socioeconomic, political and technological change in the past 30 years. Shifts in behavior and demand have opened up new markets, while existing ones have expanded their offerings, triggering an avalanche of products and services. Ecommerce has emerged as a by-product of consumerism; the digital marketplace has freed both consumers and merchants from the restraints of proximity. This has resulted in spiraling growth. Marketing in 2018 is unrecognizable to the marketing of the 1980s. Back then there were only a few communication channels available, whereas now there are a myriad of options. Thanks to the digital revolution, the shopfront now sits on the consumer’s coffee table. Brands now cater for empowered customers, and as such, it’s become tougher for marketers to know where to allocate their budget and how to keep their message consistent. 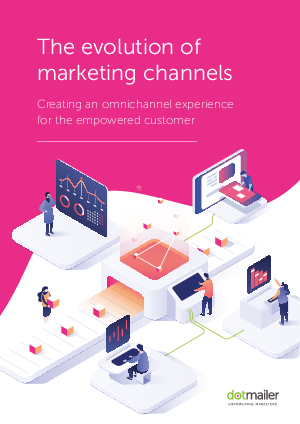 This whitepaper will discuss how marketing channels have evolved to fit the needs of omnichannel consumers: from disjointed, one-way communications to holistic, two-way conversations. Today, customer touchpoints are all interconnected, and to stay in the game, brands must deliver a seamless experience from one channel to the next.